Katharine Hendry has received funding for deep-sea research (non-commercial) from the European Research Council (starter Grant 678371 - ICY-LAB). Laurence Publicover does not work for, consult, own shares in or receive funding from any company or organization that would benefit from this article, and has disclosed no relevant affiliations beyond their academic appointment. In the memorable second instalment of Blue Planet II, we are offered glimpses of an unfamiliar world – the deep ocean. The episode places an unusual emphasis on its own construction: glimpses of the deep sea and its inhabitants are interspersed with shots of the technology – a manned submersible – that brought us these astonishing images. It is very unusual and extremely challenging, we are given to understand, for a human to enter and interact with this unfamiliar world. The most watched programme of 2017 in the UK, Blue Planet II provides the opportunity to revisit questions that have long occupied us. To whom does the sea belong? Should humans enter its depths? These questions are perhaps especially urgent today, when Nautilus Minerals, a mining company registered in Vancouver, has been granted a license to extract gold and copper from the seafloor off the coast of Papua New Guinea. Though the company has suffered some setbacks, mining is still scheduled to begin in 2019. This marks a new era in our interaction with the oceans. For a long time in Western culture, to go to sea at all was to transgress. In Seneca’s Medea, the chorus blames advances in navigation for having brought the Golden Age to an end, while for more than one Mediterranean culture to travel through the Straits of Gibraltar and into the wide Atlantic was considered unwisely to tempt divine forces. The vast seas were associated with knowledge that humankind was better off without – another version, if you will, of the apple in the garden. If to travel horizontally across the sea was to trespass, then to travel vertically into its depths was to redouble the indiscretion. In his 17th-century poem Vanitie (I), George Herbert writes of a diver seeking out a “pearl” which “God did hide | On purpose from the ventrous wretch”. In Herbert’s imagination, the deep sea is off limits, containing tempting objects whose attainment will damage us. Something like this vision of the deep resurfaces more than 300 years later in one of the most startling passages of Thomas Mann’s novel Doctor Faustus (1947), as a trip underwater in a diving bell figures forth the protagonist’s desire for occult, ungodly knowledge. Mann’s deep sea is a symbolic space, but his reference to a diving bell gestures towards the technological advances that have taken humans and their tools into the material deep. Our whale-lines and fathom-lines have long groped into the oceans’ dark reaches, while more recently deep-sea cables, submarines and offshore rigs have penetrated their secrets. Somewhat paradoxically, it may be that our day-to-day involvement in the oceans means that they no longer sit so prominently on our cultural radar: we have demystified the deep, and stripped it of its imaginative power. But at the same time, technological advances in shipping and travel mean that our culture is one of “sea-blindness”: even while writing by the light provided by oil extracted from the ocean floor, using communications provided by deep-sea cables, or arguing over the renewal of Trident, we perhaps struggle to believe that we, as humans, are linked to the oceans and their black depths. This wine bottle, found lying on the sea bed in the remote Atlantic, is to most of us an uncanny object: a familiar entity in an alien world, it combines the homely with the unhomely. 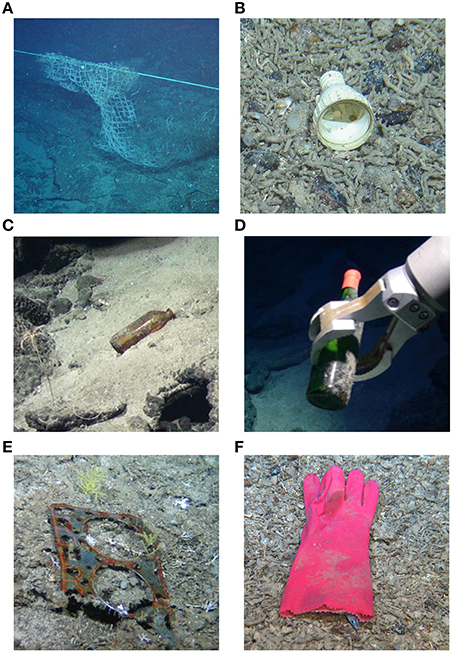 Wine bottle found in the deep North Atlantic. Laura Robinson, University of Bristol, and the Natural Environment Research Council. Expedition JC094 was funded by the European Research Council. For this reason, the activities planned by Nautilus Minerals have the whiff of science fiction. The company’s very name recalls that of the underwater craft of Jules Verne’s adventure novel Twenty Thousand Leagues under the Seas (1870), perhaps the most famous literary text set in the deep oceans. But mining the deep is no longer a fantasy, and its practice is potentially devastating. As the Deep Sea Mining Campaign points out, the mineral deposits targeted by Nautilus gather around hydrothermal vents, the astonishing structures which featured heavily in the second episode of Blue Planet II. These vents support unique ecosystems which, if the mining goes ahead, are likely to be destroyed before we even begin to understand them. (Notice the total lack of aquatic life in Nautilus’s corporate video: they might as well be drilling on the moon.) The campaigners against deep sea mining also insist – sounding not unlike George Herbert – that we don’t need the minerals located at the bottom of the sea: that the reasons for wrenching them from the deep are at best suspect. So should we be leaving the deep sea well alone? Sadly, it is rather too late for that. Our underwater cameras transmit images of tangled fishing gear, cables and bottles strewn on the seafloor, and we find specimens of deep sea animals thousands of metres deep and hundreds of kilometres away from land with plastic fibres in their guts and skeletons. It seems almost inevitable that deep sea mining will open a new and substantial chapter on humanity’s relationship with the oceans. Mining new resources is still perceived to be more economically viable than recycling; as natural resources become scarcer, the ocean bed will almost certainly become of interest to global corporations with the capacity to explore and mine it – and to governments that stand to benefit from these activities. These governments are also likely to compete with one another for ownership of parts of the global ocean currently in dispute, such as the South China Sea and the Arctic. The question is perhaps not if the deep sea will be exploited, but how and by whom. So what is to be done? Rather than declaring the deep sea off-limits, we think our best course of action is to regain our fascination with it. We may have a toe-hold within the oceans; but, as any marine scientist will tell you, the deep still harbours unimaginable secrets. The onus is on both scientists and those working in what has been dubbed the “blue humanities” to translate, to a wider public, the sense of excitement to be found in exploring this element. Then, perhaps, we can prevent the deep ocean from becoming yet another commodity to be mined – or, at least, we can ensure that such mining is responsible and that it takes place under proper scrutiny. The sea, and especially the deep sea, will never be “ours” in the way that tracts of land become cities, or even in the way rivers become avenues of commerce. This is one of its great attractions, and is why it is so easy to sit back and view the deep sea with awed detachment when watching Blue Planet II. But we cannot afford to pretend that it lies entirely beyond our sphere of activity. Only by expressing our humility before it, perhaps, can we save it from ruthless exploitation; only by acknowledging and celebrating our ignorance of it can we protect it from the devastation that our technological advances have made possible.